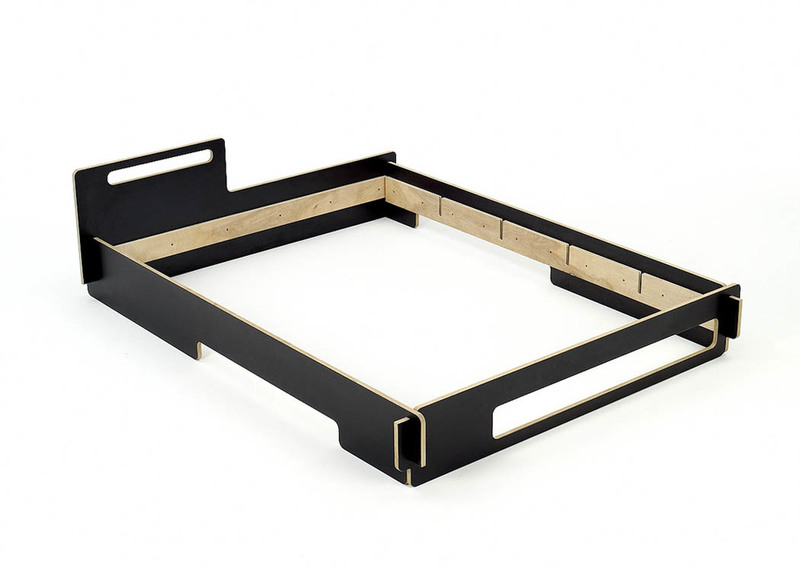 As new fabrication technologies increasingly become available to the general public, this piece explores opportunities for what could be fabricated at home by CNC. 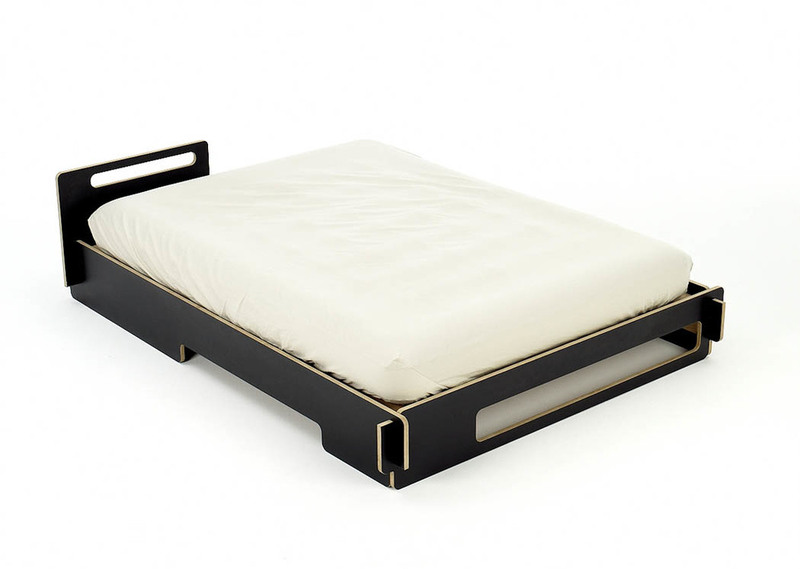 The finish elements of the bed are cut from a single piece of laminated birch plywood, allowing the user to customize it. Assembly is hardware free, which defines the language of the connections. The asymmetrical shape is defined by the nesting pattern of the pieces within the uncut sheet of plywood. The design allows only a minimal amount of waste.